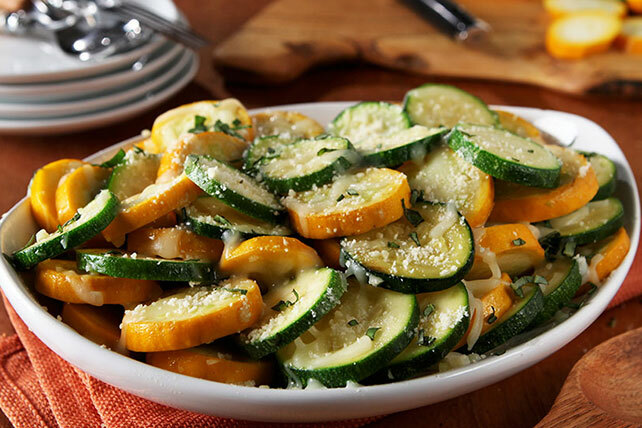 Make a cheesy, garlic-y squash sauté that's quick to make. Farmers' Market Squash Sauté is easy enough for every day but is also great for company. Cook vegetables in hot oil in large skillet on medium heat 3 min., stirring occasionally. Stir in garlic; cook 3 min. or until vegetables are crisp-tender. Remove from heat; stir in mozzarella and basil. Omit yellow squash. Use 4 zucchini instead.